The capital of India, Delhi, is popular for its rich heritage and glorious history from the Mughal era and before. Housing some of the best architectural masterpieces in India, Delhi is a perfect travel destination for regular tourists and volunteers alike. However, there is another aspect about the city that holds a great significance in providing great travel experiences; the local street food. Delhi’s culinary is one of the gluttonous in entire north, and especially the street food. The culture of street food in Delhi remains at all time high throughout the year. ‘Delhiites’ (as the locals here are called) are more fond of street food than eating at a fine diner or a fancy restaurant. A plate of hot and spicy chola bhatura is more tempting for them, than may be a full sizzler platter. 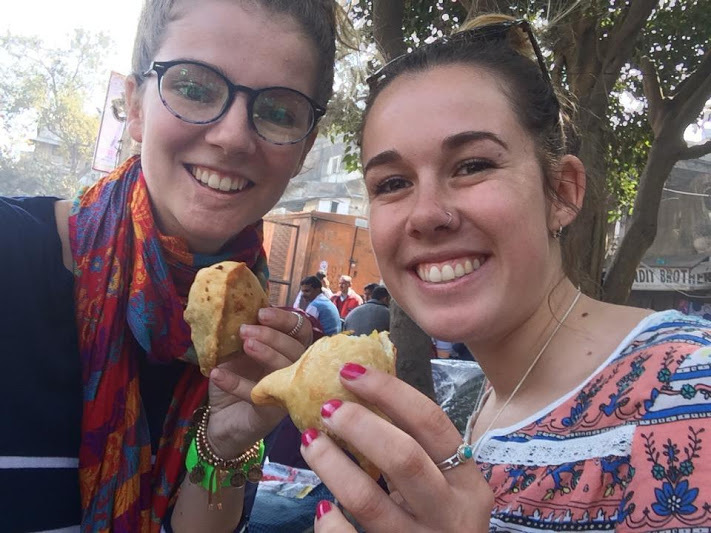 To understand this love for street food in Delhi, you need to try your hands at some of the famous dishes while volunteering in India. Dilli Haat is a perfect place to get the taste of street food from different parts of India under one roof. It is an open area market that houses food stalls and outlets representing culinary from Rajasthan in west to Assam in the east, and from Kashmir in the north to Bangalore in south. 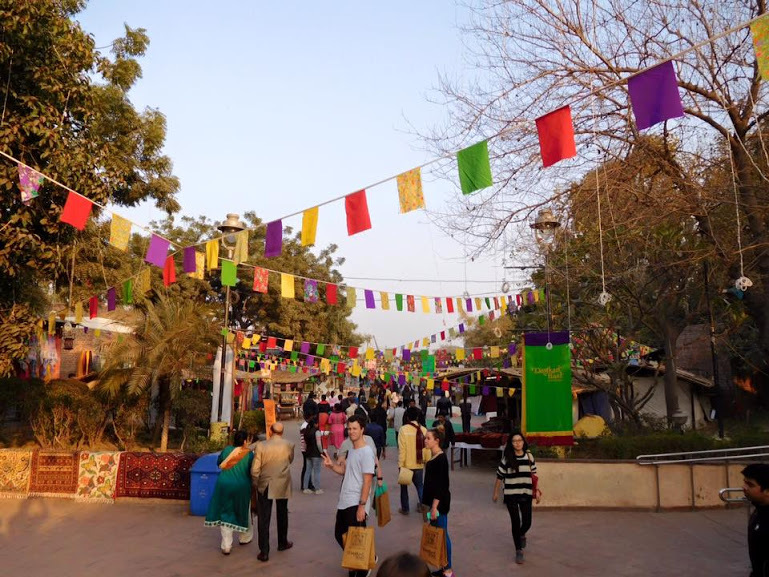 The best part about Dilli Haat is that it is located in the prime location of South Delhi area and very close to the volunteer accommodation, making it a great dinner/lunch option. Khan market is a great amalgamation of new age and good old style food options. 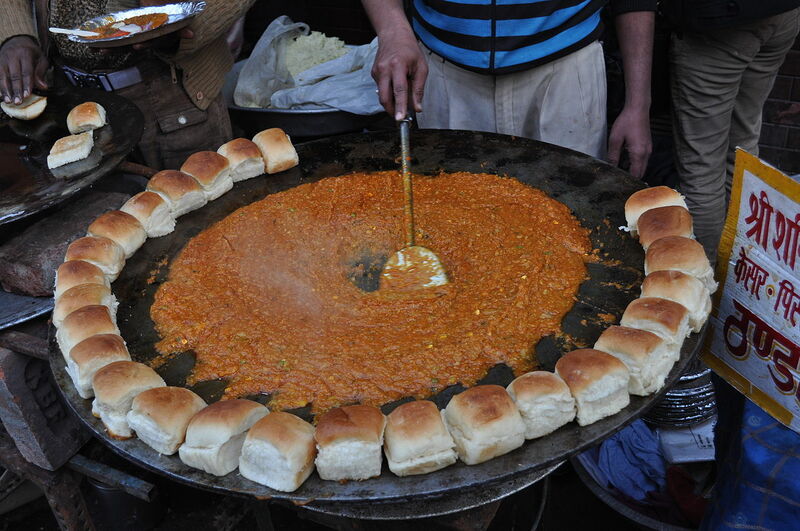 One can find a series of typical Delhi street food options in this area, especially, the non-vegetarian delicacies. With the likes of Khan Chacha, Blanco, and Chonas, volunteers have a wide range of options to satiate their taste palates. One of the biggest and popular markets in Delhi for shopping geeks, Lajpat Nagar central market is also the place where one can find a range of options to get introduced with the street food of delhi. Volunteers visiting this area can find a number of food stalls selling a wide variety of dishes; such as Momos, kulchas, chaat, and more. Dolma Aunty’s chicken momos are one of the most famous in the area; and entire Delhi collectively. Popularly known as NFC within the Delhi locals, this place is yet another a must visit location to try out the street food while volunteering in Delhi. Al Bake is one of the most famous outlets in the area and is popular for its rolls and kebabs. There are several other outlets available with a range of street food options that will give you the glimpse of typical Delhi local cuisine. It would come off as a surprise for many to see Asia’s largest IT market area listed in the best street food options in Delhi, but that’s what Nehru Place is all about. Along with the typical street style dishes, one can find options for some of the most common Delhi home dishes also being served in the area; such as Rajma Chawal, Choley Puri, Daal Chawal, etc. to make up for a great lunch or dinner. Pandara road area offers a range of typical north Indian dishes to its guests. This can be a great dinner option for volunteers over the weekends, while enjoying a great atmosphere around. This is a very popular dining option for many delhiites who arrive there to enjoy a blend of local food and fine dining. Gulati’s and Punjabi By Nature are amongst the most popular outlets in this area. If you are looking for a great ambience and hip crowd while enjoying your meal, then Connaught Place is the best option for you in the city. CP (in short) can be considered as the heart of Delhi and witness a gamut of public visiting, not just over the weekends, but every single day. It is a huge market area, constructed in circles with a wide range of food options to serve. Volunteers must visit CP at least once if they truly want to experience Delhi life, since a visit to Delhi simply isn’t complete without a visit to this area. 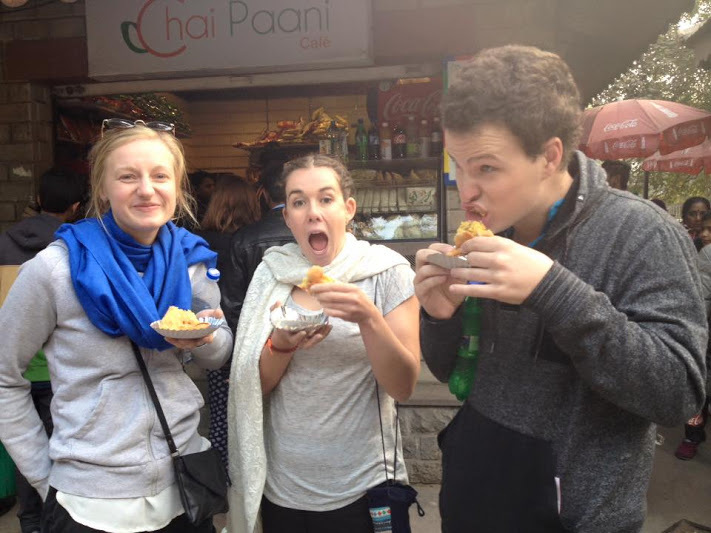 Volunteering in Delhi is a great travel experience and trying out some of the best local dishes will only make it all the more special and memorable. 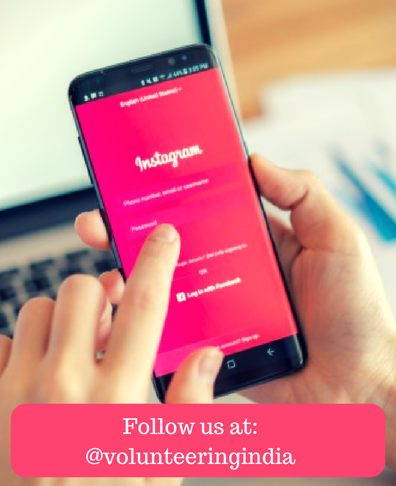 If you have any queries regarding volunteering in Delhi or more, simply get in touch at [email protected] and get answers to all your concerns.